Is this Indy's last hurrah? In a word - yes. 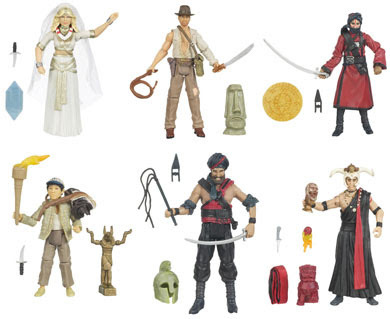 We previously reported on how Hasbro was canceling the Indiana Jones action figure line after this wave, with plans for future waves axed. So we get a Short Round and a Mola Ram, but a new Toht figure will unfortunately never see the light of day. These should be in stores soon, and are currently in-stock at Brian's Toys.